Join ILACSD and the County of San Diego for a litter cleanup in Pine Valley on Saturday, July 21 from 8:00 am to 10:00 am! Volunteers will meet at the Pine Valley Village located at 28944 Old Hwy 80, Pine Valley, CA 91962. 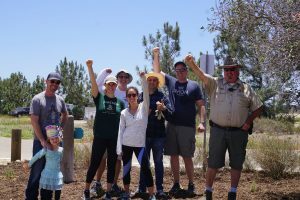 We will be doing a street sweep along Old Hwy 80 and the beloved Pine Valley Park to divert waste from the Tijuana watershed and maintain the natural beauty of the community!